Stay warm and dry during inclement weather with this black, waterproof jacket. 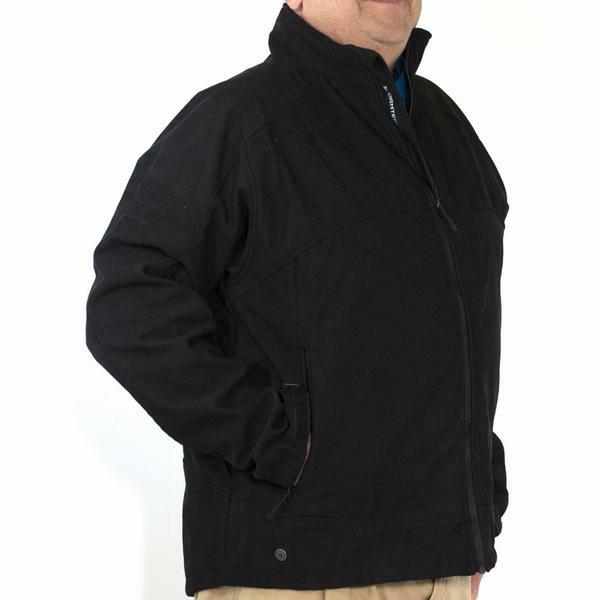 This men's Stormtech jacket's polyester and fleece materials make it durable and comfortable to wear. "Does this have a hood?" This does not feature a hood.